Making a playlist is too simple. You can just drag 100s of songs across and never have to listen to them. The age of putting some love into a good mixtape has gone. 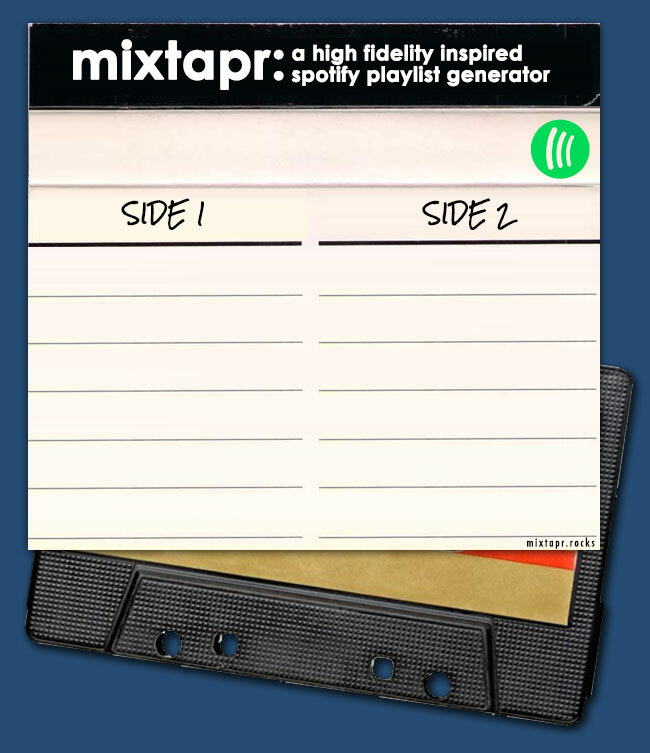 Inspired by Rob Gordon's rules about creating a good mixtape, you can now spend some time putting your tape together... with a 12 track maximum. You must listen to 30 seconds of each track to 'record' it to your playlist. Search for the songs to add to your notebook. Once your notebook is full, hit record.